Author: Pappano, Marilyn Set In . . . Description: Take one gorgeous, down-on-his-luck man, add an irresistible, up-for-anything woman. Put them together in a smoldering little town--and watch the temperature rise. Nolie Harper is starting over. And the bustling burg of Bethlehem is as far as the single mother can get from the gossipy one-horse town of Whiskey Creek, Arkansas. 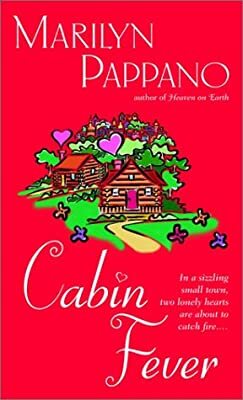 All set to claim the twin cabins she just inherited, Nolie discovers she already has a tenant: a scruffy, powerfully built stranger who makes it clear he wants to be left alone. Chase Wilson may be living like a recluse, but he’s making her yearn for togetherness--and stirring up the kind of desires that can change a woman’s whole outlook on life. Newly sprung from prison for a crime he didn’t commit, Chase is liking life alone in his rented cabin just fine. Until the redhead with the lush curves and her young daughter arrive and throw what’s left of his life into maddening chaos. With her tantalizing neighborly ways, Nolie is slowly scorching her way into his guarded heart. And her passionate kind of healing is rapidly transforming his private hideaway into a lovers’ retreat hot enough to ignite an entire town.